Immunohistochemical analysis of paraffin-embedded mouse heart tissue slide using 11497-1-AP (Apelin antibody) at dilution of 1:200 (under 10x lens) heat mediated antigen retrieved with Tris-EDTA buffer(pH9). 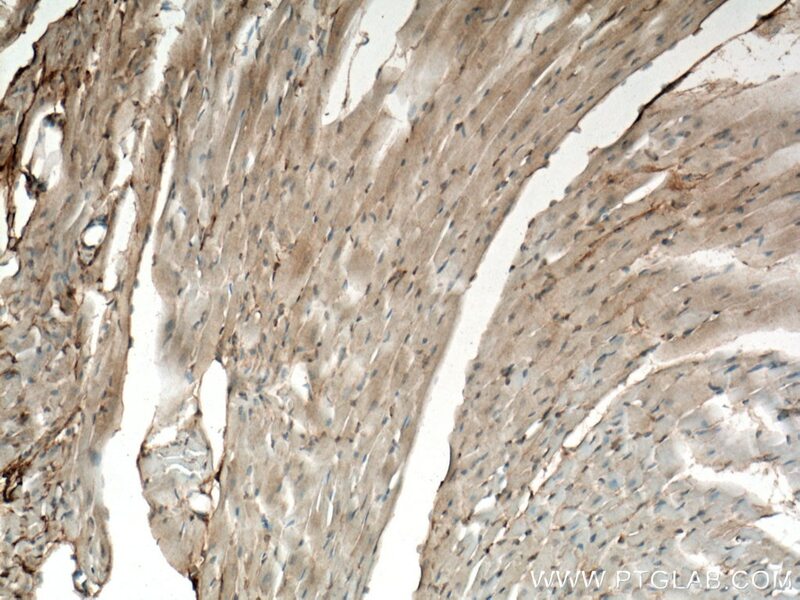 Immunohistochemical analysis of paraffin-embedded mouse heart tissue slide using 11497-1-AP (Apelin antibody) at dilution of 1:200 (under 40x lens) heat mediated antigen retrieved with Tris-EDTA buffer(pH9). Apelin, isolated from bovine stomach tissue extractsis, is recognized as the endogenous ligand of the angiotensin-like-receptor 1 (APJ), and the human orphan G-protein-coupled receptor. Apelin is widely expressed in various organs such as the heart, lung, kidney, liver, adipose tissue, gastrointestinal tract, brain, adrenal glands, endothelium, and human plasma. 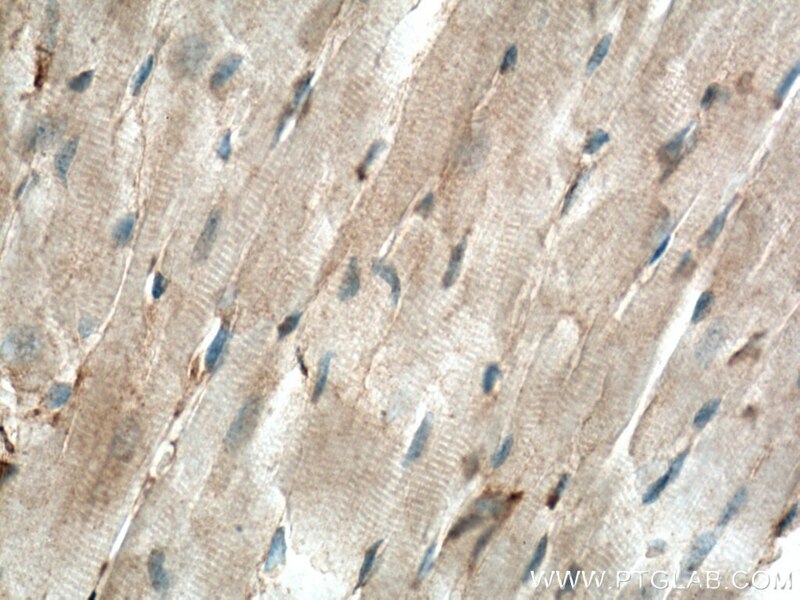 Apelin has been found to be a potent stimulator of cardiac contractility and may function in the regulation of the cardiovascular system. Apelin is also known to be involved in the maintenance of insulin sensitivity and play an important role in liver disease. 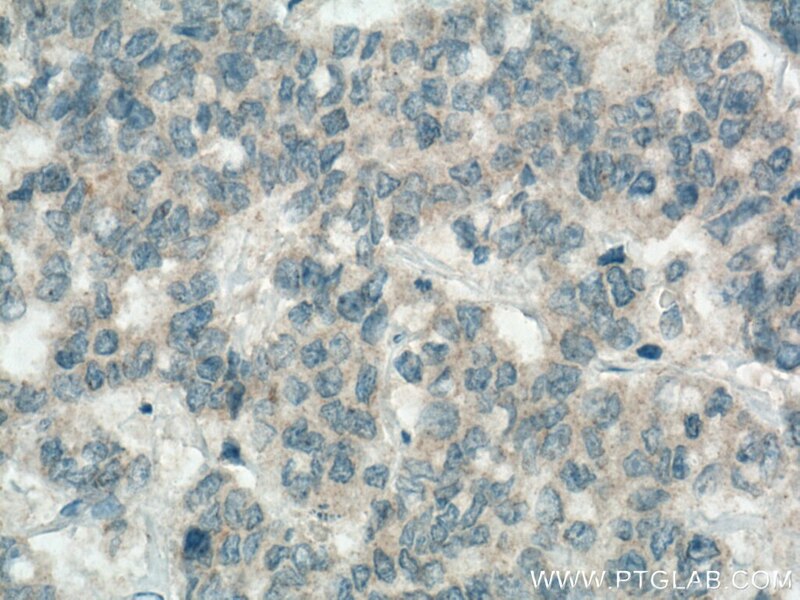 Immunohistochemical analysis of paraffin-embedded human colon cancer tissue slide using 11497-1-AP (Apelin antibody) at dilution of 1:200 (under 10x lens) heat mediated antigen retrieved with Tris-EDTA buffer(pH9). 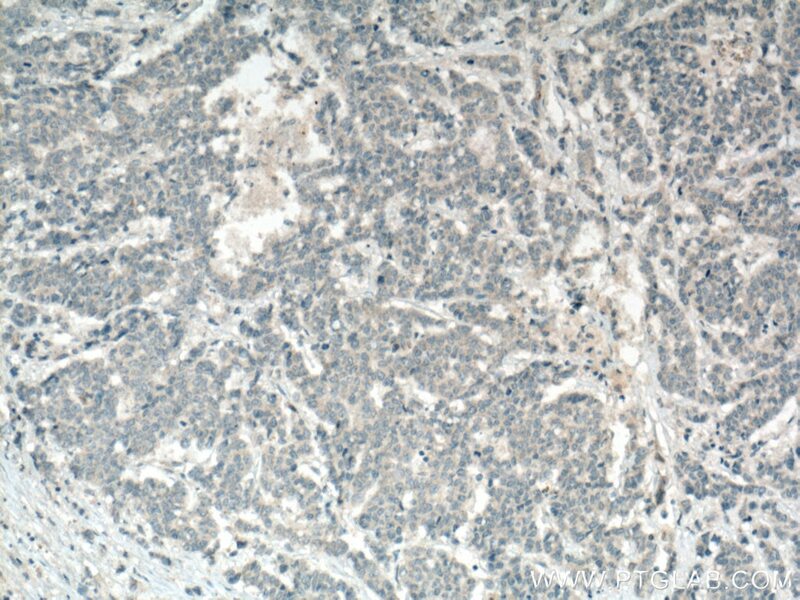 Immunohistochemical analysis of paraffin-embedded human colon cancer tissue slide using 11497-1-AP (Apelin antibody) at dilution of 1:200 (under 40x lens) heat mediated antigen retrieved with Tris-EDTA buffer(pH9).